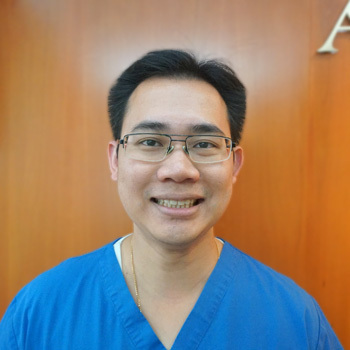 Dr Chuang enjoys the opportunity to give people the oral health that they deserve, making lifelong relationships in the process. His desire to become a dentist came from his belief in helping others in need. He is also a member of the Australian Dental Association, taking a particular interest in dental implants and braces. 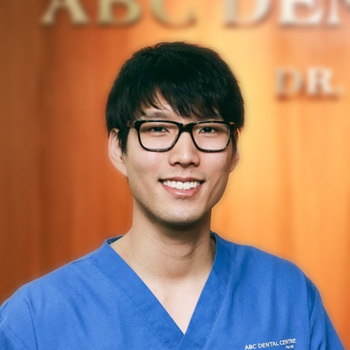 Although practicing all aspects of dentistry, Dr Chuang especially enjoys unique procedures like wisdom teeth removal, dental bone grafting, sinus lifts, dental implant placement and accelerated orthodontics. When he isn’t attending to his patients, Dr Chuang enjoys spending as much family time with his two young children as possible. When he’s free, he prefers to bicycle or play basketball. Dr Chuang graduated from dental school at the University of Queensland with honours in 2006. Since then, he continues to pursue postgraduate training and education throughout each year. Level 3 Accreditation with the Australian Society of implant Dentistry – 2008. 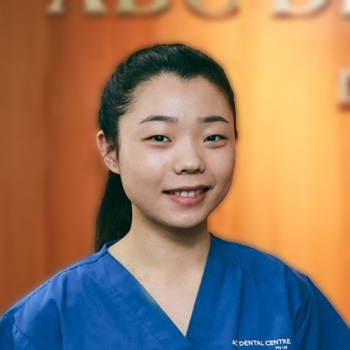 Dr Ying Hu received her Bachelor of Dental Science (Honours) degree from the University of Queensland, and is a member of the Australian Dental Association. She is patient and understanding, and believes the dental clinic should not be a scary place. This is why she tries her best to make every patient’s experience a friendly, comfortable and painless one. Dr Ying loves practicing all aspects of general dentistry, and particularly enjoys seeing children – it makes her very happy when kids leave the clinic smiling! She also continues to stay updated in the world of dentistry by participating in numerous educational seminars and courses. In her spare time, she is usually catching movies with friends, trying out new restaurants or playing with her lovely dogs. Dr Ki Kim grew up in Sydney, but has called Queensland home as he graduated from the University of Queensland with his Bachelor of Dental Science (Honours). He is passionate about the field of preventative dentistry and family dental management. With his gentle, caring and patient-centred manner, he is able to assist patients in overcoming their dental anxiety. Furthermore, he values providing all his patients with the best possible quality dental care by keeping himself up-to-date with continuous professional learning and development. The postgraduate education that he has completed to advance himself include: Progressive Orthodontics Seminars, Ossfem Implant Intensive Course, and Relative Analgesia (ADAQ). Away from dentistry, Ki is busy with a growing son and enjoys playing tennis and swimming. At ABC Dental Centre, we strive to always provide the best care at a cost-effective price. We’re dedicated to meeting the specific concerns that you or your child may have. Book a visit online or call us at (07) 3371 5441. We’re in-network, and all health funds are filed on the spot, whether it’s an evening or Saturday appointment.